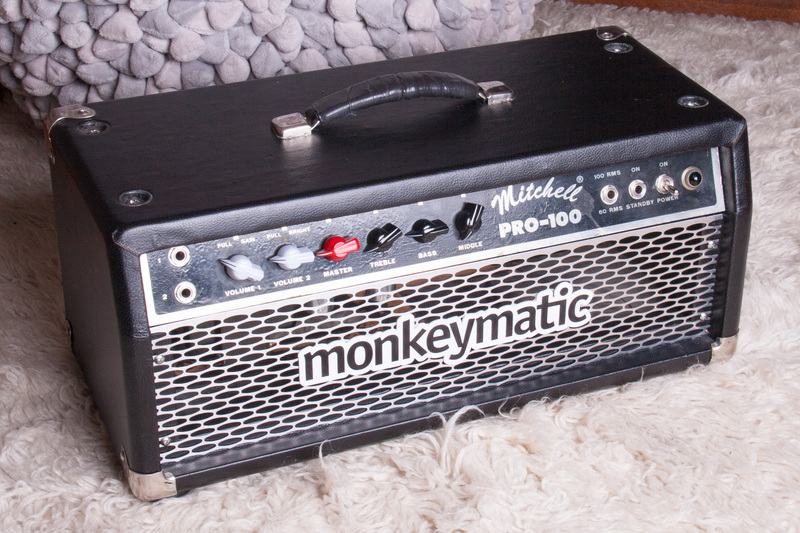 The Mitchell PRO-100 is a Mesa Boogie clone, made in the 80s in Southern California, with a Fendery tone stack, and a WIDE variety of tones available by switching four cascaded gain stages in and out of the signal path. 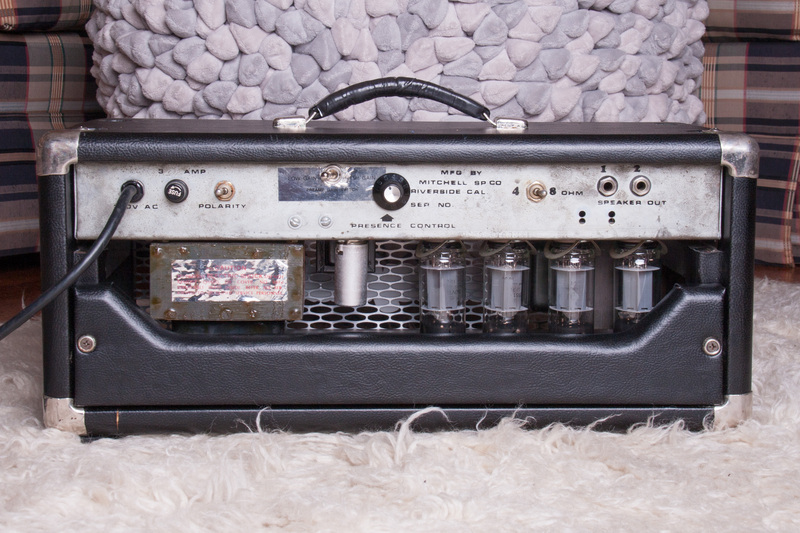 This amplifier came to me in rough shape. 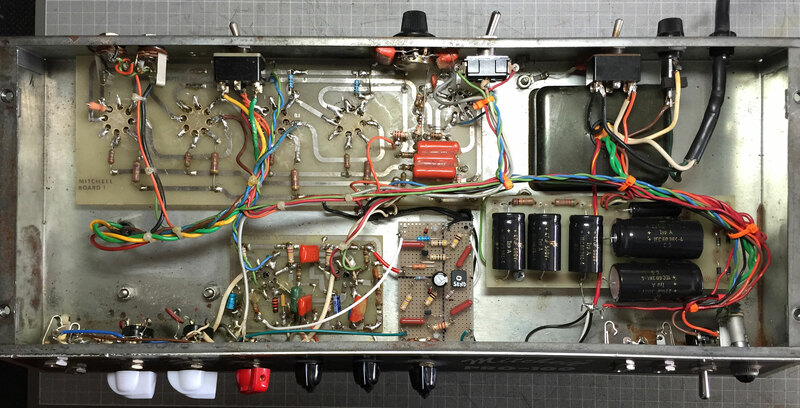 I recovered the cabinet and made many mods to the amp, including new electrolytic capacitors, D-style values in the preamp stages, a new and custom designed FX loop, and general cleaning and improvements. Now it’s a great all-around performer. 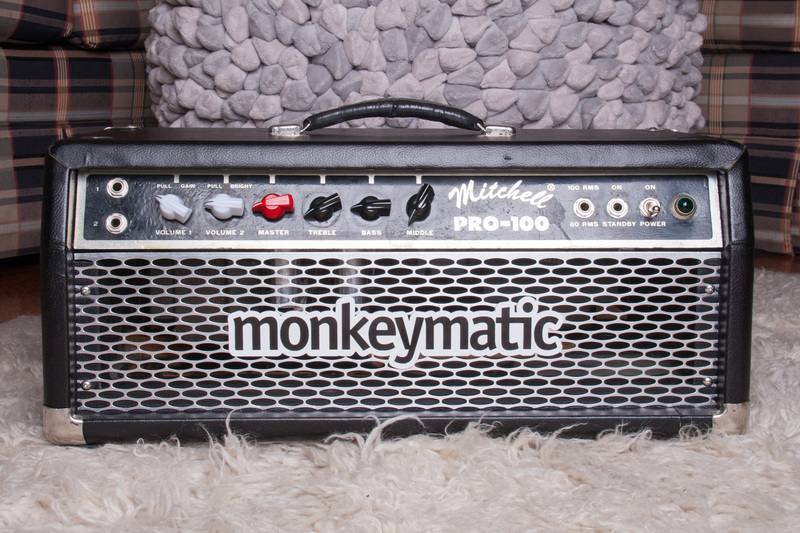 Very quiet and well behaved at home, loud and lots of clean headroom available as a pedal platform, great edge-of-breakup tones for single coils, and absolutely screaming high-gain sounds for leads. Powered by three 12AX7s and a quad of Sovtek 5881s.